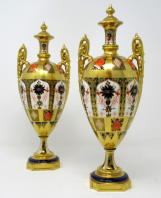 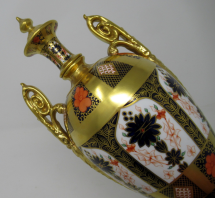 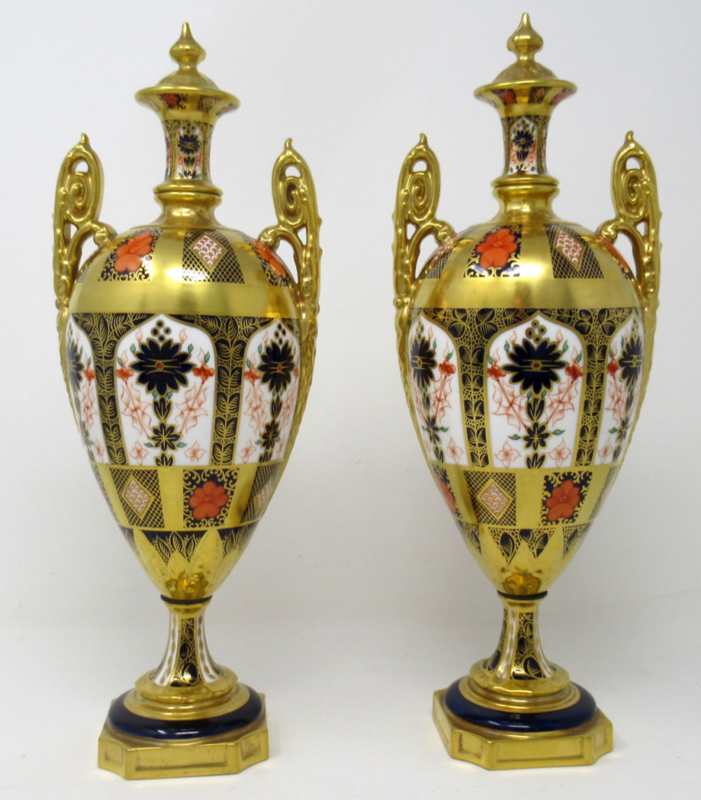 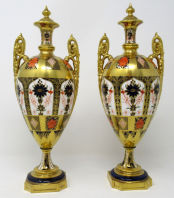 Stunning Pair English Royal Crown Derby Urns of outstanding Quality, decorated in the “Old Imari” pattern 1128, of ovoid outline with twin scroll handles ending on square base with canted corners. 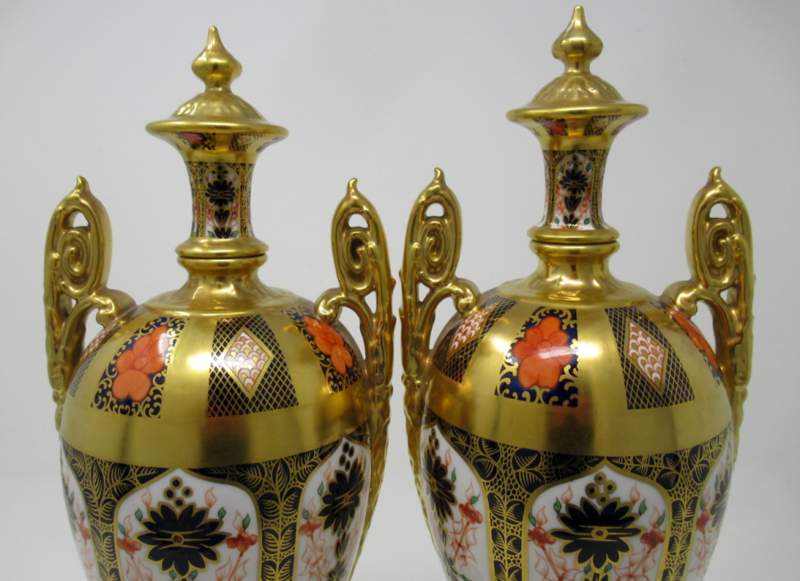 Mid Twentieth Century. 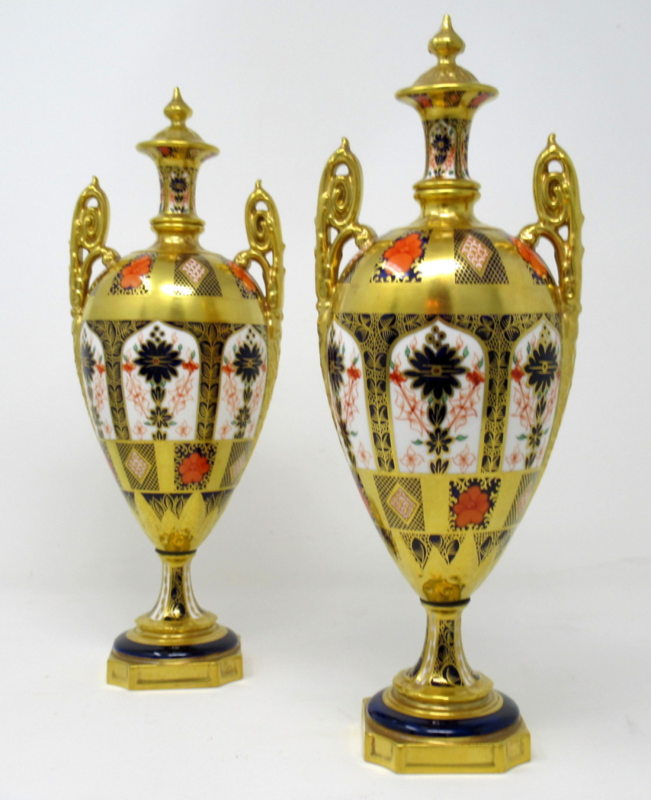 Painted in gilt with lappet-shaped panels in colours of dark blue and iron red and diaper pattern ground. 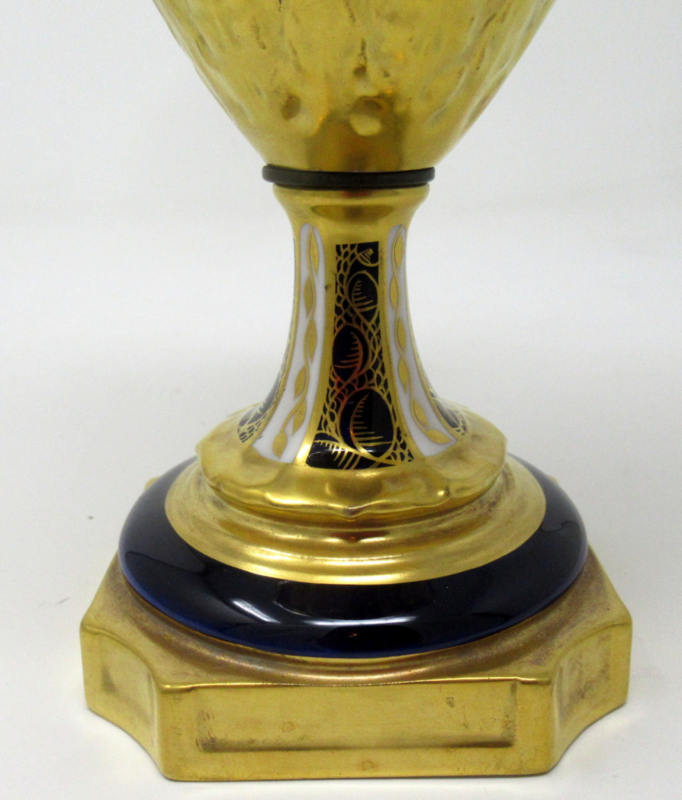 Condition: Superb condition with no imperfections and no wear to gilding, base marks as shown. 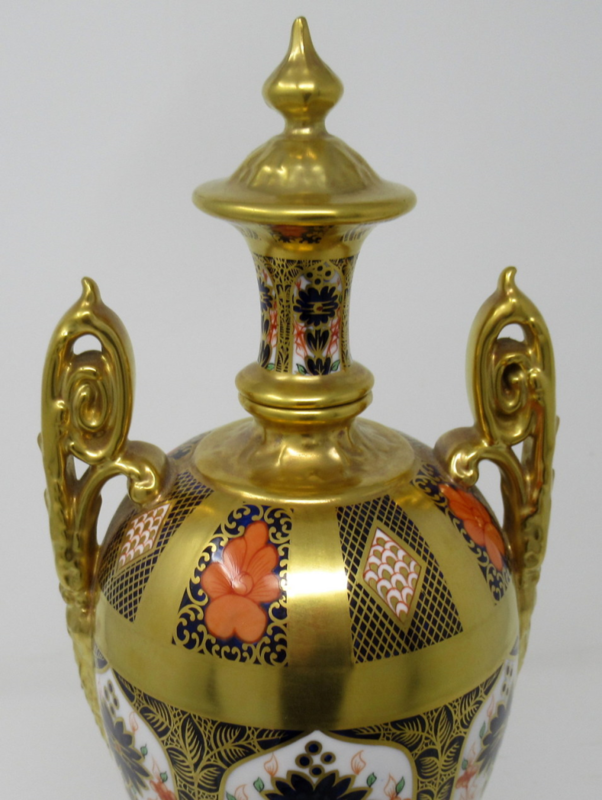 Height: (entire) 12" (30.5cm). 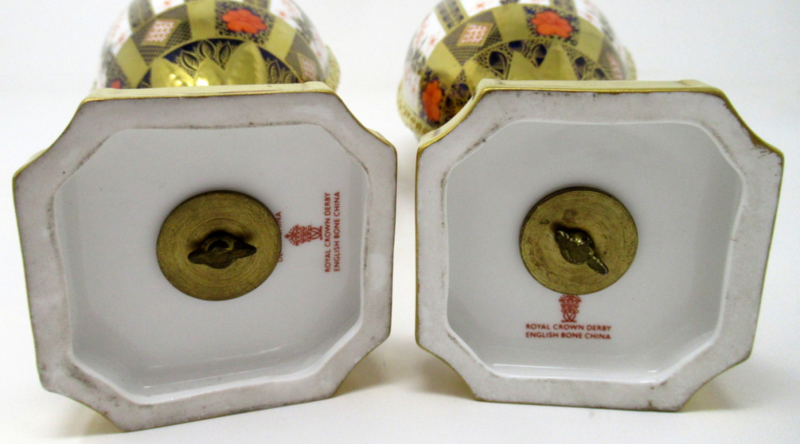 Width: (at handles) 4.5” (11.5cm). Depth: (at widest) 4” (10cm).